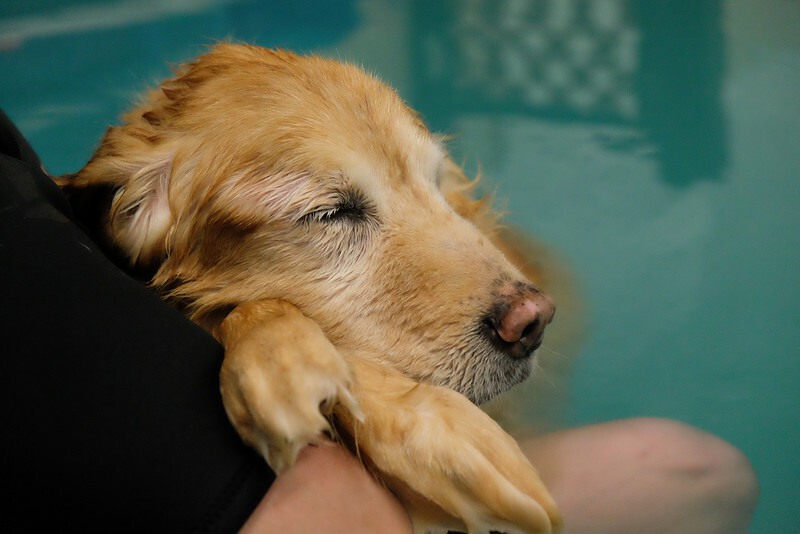 Maggie, 15, content after aqua therapy at a local pool in the arms of her therapist. Her owners purchased a shoot at a Golden Bond Rescue fundraiser in 2013, and on this summer day in 2015 asked me to meet them at a pool. She died 3 days later.